The IGA and its partners World Bank and IRENA with its Global Geothermal Alliance as key partners jointly organised an UNFC Geothermal Specifications workshop in Addis Ababa, Ethiopia between 5 and 7 February 2019. The workshop forms part of the UNFC pilot project in which the IGA and partners seek to deploy the UNFC geothermal project classification across the globe. For this we have worked intensively with the United Nations Economic Commission for Europe, for whose support we are very grateful. In Ethiopia we were hosted by the Government of Ethiopia and the Ethiopian Geological Survey. A word of thanks goes to Geothermal Director Dr Solomon Kebede without whom this Workshop would not have taken place. We also express our gratitude to Dr Meseret Teklemariam representing the UNEP and the African Geothermal Centre of Excellence. She is our geothermal ambassador for the region and helped the team setting clear targets and expected outcomes. The workshop was lead by Prof. Dr. Gioia Falcone, Mr Greg Usher, Mr Rob Hogarth and Mr Harmen Mijnlieff who dedicated their time, energy and passion for Geothermal in Addis Ababa. 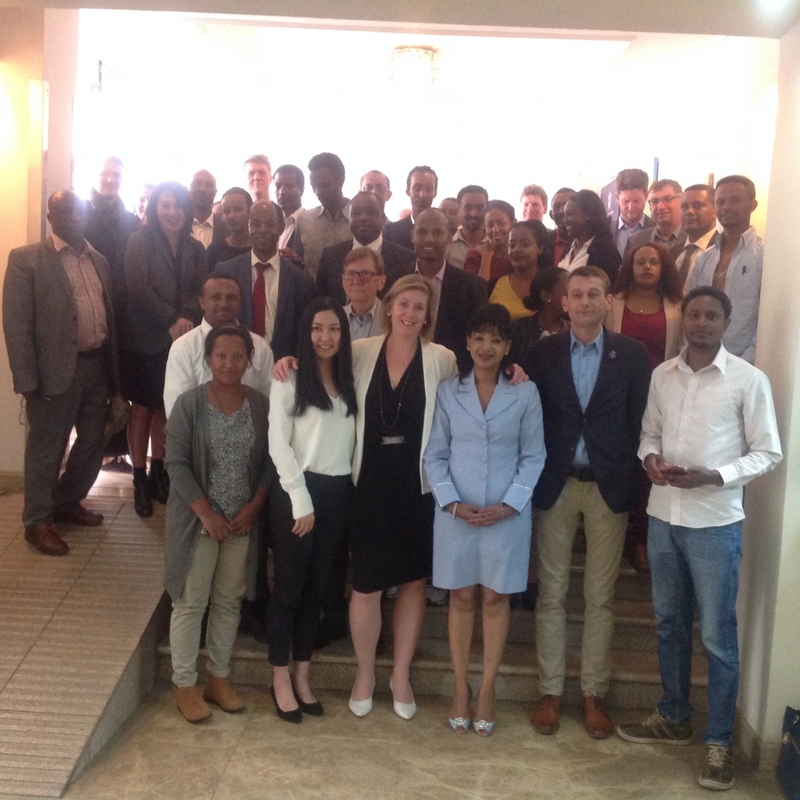 We had the pleasure working with 23 participants coming from Ethiopian Geological Survey, Ethiopian Electric Power, Cluff Development Project, and local developers. We have seen 22 potential projects out there waiting to be classified and come to full bankability. In the mean time, the groups have focused on the Aluto project and the first classification results are expected later this month. After returning we received the fantastic news that KenGen and Shandung Kerui Oilfield Service Group have secured a §76.8 million drilling contract for the 70MW Aluto-Langano project in Ethiopia. Ethiopia has the potential to become a geothermal giant and we are convinced that giant will be awake very soon.